VW introduced the Up minicar in 2011. WOLFSBURG -- The Volkswagen brand plans to bolster the attractiveness of its Up minicar with a new GTi performance version while at the same time planning to update the electric version with a more powerful battery to boost its range. 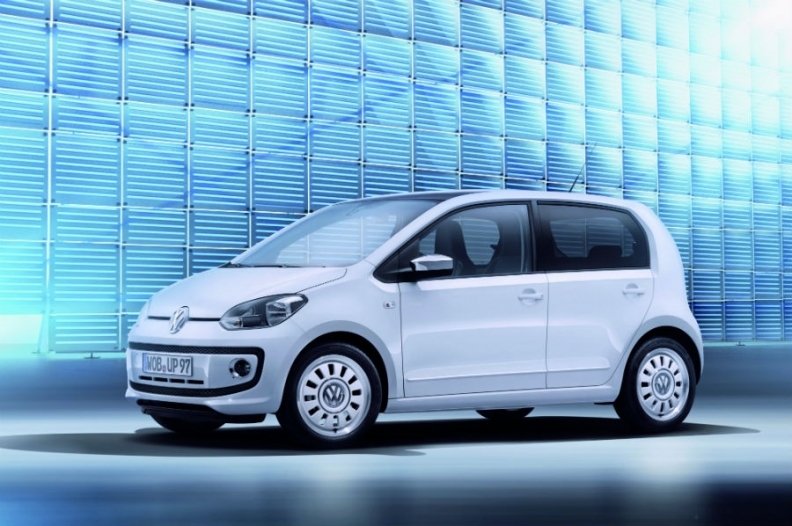 When asked about the future of the Up, which shares a platform with the Seat Mii and Skoda Citigo, VW brand CEO Herbert Diess said he had no plans to run out the model since the car remained the benchmark in the segment. First launched in late 2011 and sold in Europe with a longer wheelbase version available in South America, Up production fell 1.4 percent to 170,000 units last year. Together with the 41,250 Citigo and 18,700 Mii cars built in 2016, output for the group’s minicar range amounted to 230,000 vehicles or just 2.2 percent of its manufactured volumes. Diess said the Up has a good positioning in the market and a very competitive cost base because it is built at the automaker's factory in Bratislava, Slovakia. The Up "still wins practically every comparison test," Diess said. "It was just refreshed last year with new, turbocharged engines and we can announce that we will be bringing an Up GTi to add more emotional appeal," he told reporters here. Production of the GTi version could potentially start late this year, according to Volkswagen. Diess said the platform underpinning the Up remained state-of-the-art for its segment, obviating the immediate need to develop a new one, but he did concede that the e-Up electric version could use a technical fillip. With its 18.7 kilowatt-hour lithium ion battery, the car has a certified range of only 160 km under the European testing cycle and consumption of 11.7 kWH electricity per 100 km. By comparison production of an improved e-Golf started late last year, with a range of 300 km and less than 12.7 kWh of consumption per 100 km. "We certainly will have to think about a range extension for the electric Up," Diess said. Asked about budget car plans, Diess confirmed that VW was leaving development of an affordable car for the Indian market to Skoda, which is heading up a cooperation with local manufacturer Tata Motors, in order to focus on China. "We are making progress with our own budget car plans in China, and we're in the process of choosing the vehicles' design. Here we are working together with our joint venture partner in the North (FAW), where the team is developing three projects in total - a sedan and two SUVs for a segment, which continues to grow," Diess said. "We see a positive trend for us, since the price positioning of the local manufacturers is on the rise, which accommodates us. So, with the right brand, the right marketing campaign and the right retail structure, we definitely think we can participate in the growth starting 2019 and 2020," Diess said.